Dance parties, cocktail parties, girl night out or any other occasion, if it is a girl or a woman every female considers them important. She would dress up so that she looks more stylish and beautiful. 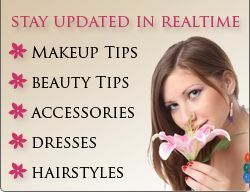 Importance to accessories, shoes and makeup is also being given as they too add stars to the beauty. Makeup colors have to be chosen carefully so that they go well with the clothes and skin color. Dance parties are different then the ones like cocktail parties or going for a date as in them you have to dance most of the time. As you would be dancing most of the time, clothes and accessories should be selected carefully as you should feel comfortable in them. Keep in mind what season is going on and then only select the clothes, as you should not end up picking wrong clothes for wrong time. Along with this makeup is also given importance. When selecting clothes, jeans are the best choice. They are comfy and would not ditch you in this matter while you are dancing. Straight cut jeans or skinny tight jeans are the most in demand jeans these days. Select a fancy top with different necklines and embellishments and pair it up with jeans. Plain black colored or white colored t-shirts also looks good. You can also go with graphic t-shirts, ruffled t-shirts or shirts also look great. Tucked-in shirts and t-shirts look great and very casual. Tank tops, halter tops, strapless tops are great picks for any dance party. If it is winter time, then you can wear a stylish cardigan over your t-shirt or shirt. Skirts also look good for any dance party. Some who don’t feel comfortable in wearing skirts they should not opt for them, instead go with jeans only. Mini skirts, maxi skirts, knee length skirts of different types are available among which you can pick the best one for yourself. Pair up a good top with it and you will look stylish. You can also wear different type of dresses like A-line dress, sheath dress, mini dress or any other as they are also good choices to be worn for a dance party. Accessories would make you look more stylish and beautiful. But choosing which accessories to wear and which not to wear, is important as you will end up looking unattractive with wrong accessories. Light accessories as well as chunky accessories look good. When you are going for some dance party, chunky accessories can sometimes prove hindrance, so it is best to avoid them though they are good choice for dance parties. Belts are great accessory which can be worn anywhere, and so you can wear them at dance parties too. If it is winter time, then you can wear scarves or carry beautiful shawl along with you as these accessories would make you appear prettier. For handbags, try on small ones or if better select clutches. They are easy to hold and won’t hinder you while you dance all the night. Sandals should be your second priority while getting ready for a dance party, as you should not wear heels for dancing. Heels won’t prove comfortable for dancing and you might end up tripping all the time. Instead you should try on stylish flat sandals or kitten heels, loafers or ballet shoes. Even though you are comfortable in dancing with heels on, they would make your feet sore at the end of the party and so they should be avoided. Select the clothes in which you are comfortable so that while dancing you don’t feel any awkwardness. Keep in mind the above points and get ready for a dance party.